WELCOME IN JRVshop ONLINE STORE! In the JRVshop.eu online shop you will discover a wonderful collection of stylish dresses at accessible prices! 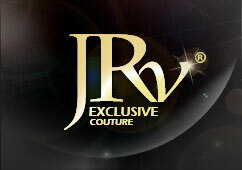 The entire JRV Exclusive Couture collection dresses is predestined to all ladies for special events in their lives, events where an elegant dress may catch the eye of all the participants, such as the gorgeous evening dresses or the cocktail provocative dresses, prom dresses, bridesmaid dresses, etc. The dresses presented in the collection on our site are made of various combinations of fine materials such as lace, embroidery, decorative stones applications, rhinestones, sequin, fine satin, veil, tulle, etc. We have a rich collection of dresses, you have from where to choose! Moreover, for any model presented on our website, there are sizes ranging from the small to the large ones. To get into the possession of the dress that you dream, you're just a click away, and in a few days, no matter in what country you live, you get your ordered items at the best prices and at the best shipping conditions. Do not hesitate, start shopping right now! Choose the perfect dress at a fair price and shine of beauty! Elegant dress, made of a yellow veil with a unique print in shades of blue and purple, prom dress with a unique and spectacular, ideal for any special occasion. Spectacular prom dress made of pink veil, accessorized with embroidered flowers and mesh, elegant evening dress, very refined, with a superb design, suitable for any special occasion. Evening dress made entirely of light blue lace, the dress is accessorized with an unique embroidery decor, which gives a unique and refined design, it's a prom dress very elegant.